After an extensive search, NAMI Metropolitan Baltimore has selected Kerry Graves as the organization’s new executive director, effective Nov. 15, 2018. 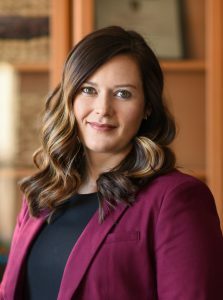 As executive director, Graves will apply her 10 years of experience working in the non-profit sector to providing direction and leadership for the mission and vision of NAMI Metropolitan Baltimore. In addition to managing the day-to-day operations of NAMI Metropolitan Baltimore, Graves will serve as the chief liaison with government officials, media, community organizations, and key constituency groups. Graves currently serves as the vice president for development for the DC/MD/VA chapter of the ALS Association. In this capacity, she has been responsible for a revenue budget in excess of $2 million and spearheaded fundraising efforts for the organization. Graves is succeeding outgoing executive director Sherry Welch, who joined NAMI Metropolitan Baltimore in 2014. During her tenure, Welch doubled the number of people served by the organization and quadrupled the number of volunteers. Welch also oversaw a geographic expansion of services and was instrumental in both stabilizing the organization’s finances and advancing the board of directors. Join us for an evening celebrating NAMI Metropolitan Baltimore’s 35th Anniversary of service to the greater Baltimore community. This impactful performance features six storytellers sharing their experiences living with – or loving someone with – a mental health condition. Through powerful stories, original music, and poetry, our storytellers will share their journeys through challenges and triumphs, isolation and connection, stigma and healing. The audience will find a stronger understanding of mental health and hope for recovery. 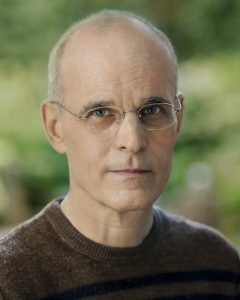 The evening’s narrator will be Emmy-award winning actor, Zeljko Ivanek. He currently stars in the CBS show Madam Secretary, and his many tv and film credits include True Blood, 24, Three Billboard Outside Ebbings, Missouri, Argo, the Baltimore based Homicide: Life on the Streets, and many others. Tickets are $100 and include a reception with hors d’oeuvres and drinks beginning at 6pm, and a dessert reception following the performance. Tickets may be purchased through the Center Stage Box Office online or by calling 410-332-0033. We expect this event to sell-out! Be sure to get your tickets early! Zeljko Ivanek is currently embarking on the fifth season of the CBS show MADAM SECRETARY. He previously won an Emmy for his work on the first season of DAMAGES. Other regular and recurring roles include TRUE BLOOD, BIG LOVE, HEROES, 24, OZ, and six happy seasons on the Baltimore based HOMICIDE: LIFE ON THE STREET, in addition to many TV movies and guest appearances. Feature films include THREE BILLBOARDS OUTSIDE EBBING, MISSOURI, ARGO, SEVEN PSYCHOPATHS, THE BOURNE LEGACY, IN BRUGES, THE HOAX, DOGVILLE, UNFAITHFUL, BLACK HAWK DOWN, HANNIBAL, DANCER IN THE DARK, A CIVIL ACTION, and DONNIE BRASCO. His many stage credits have earned him three Tony nominations and a Drama Desk Award and include American, U.K. and world premieres of works by Greg Pierce, Martin McDonagh, Joe Penhall, Neil LaBute, Richard Nelson, David Hare, Neil Simon, Athol Fugard, and Caryl Churcill. He is a graduate of Yale University and The London Academy of Music and Dramatic Art. The National Alliance on Mental Illness (NAMI) is the nation’s largest grassroots mental health organization. NAMI is dedicated to improving the lives of individuals living with a mental health condition, their families, and communities through education, support, and advocacy. NAMI Metropolitan Baltimore is a NAMI affiliate serving Baltimore City and Baltimore County. Our staff, board, and dedicated volunteers work together to raise awareness and provide essential support programs. Since NAMI Metropolitan Baltimore’s founding in 1983, we have established ourselves as the local voice on mental illness. NAMI Metropolitan Baltimore piloted many of NAMI’s Signature education programs here in Baltimore. Today, we continue to develop innovative resources and community education tools that improve the lives of people affected by mental illness and their families. We have grown to serve more than 8,000 individuals and family members annually. 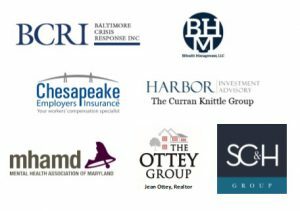 Sponsorship opportunities are available to support NAMI Metro Baltimore’s 35th Anniversary Celebration. See our sponsorship package for sponsor levels and recognition benefits. For more information, please contact Deputy Director, Caitlin Mulrine. NAMI Metropolitan Baltimore invites you to join in celebrating its impact in the Baltimore community at the 35th Annual Meeting on Saturday, September 8th. This event will recognize and celebrate our dedicated volunteers and community partners. 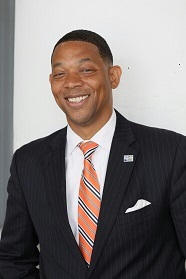 We are delighted to announce our keynote speaker will be Franklyn Baker, President and Chief Executive Officer of the United Way Central Maryland. Mr. Baker will speak to the importance of volunteerism and service to the greater Baltimore community. 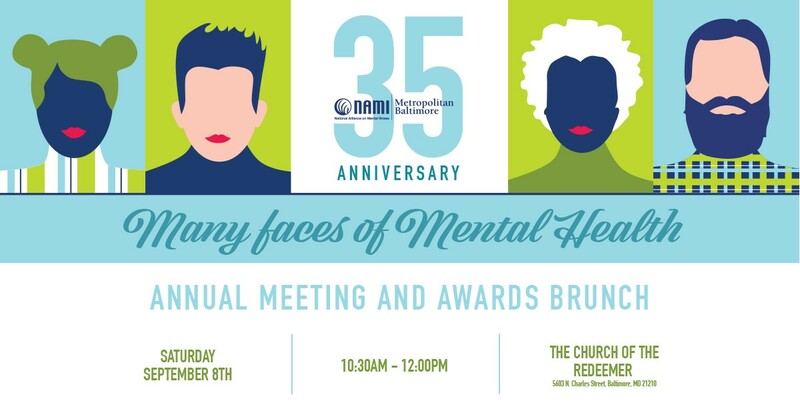 Each year, NAMI Metro Baltimore recognizes community leaders, mental health professionals, and volunteers for their work to improve the lives of people affected by mental illness at the Annual Meeting. NAMI members will have the opportunity to re-elect current members to the Board of Directors. 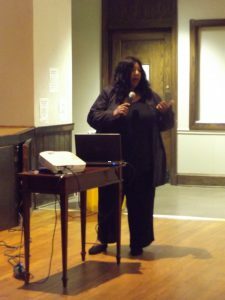 To become a NAMI member or renew your membership, please visit www.namibaltimore.org/get-involved/membership. Tickets are $10 for NAMI members and $15 for non-members, and includes brunch. Franklyn is a cross-functional senior executive with more than 26 years of diverse expertise in non-profit organizations. As President and CEO of United Way of Central Maryland ($37 million non-profit with 110 staff), Franklyn shepherds all aspects of the board approved strategic plan and direction. Prior to this role, Mr. Baker served as principal deputy and Chief Operating Officer at Greenpeace USA ($45 million non-profit with 600 staff). Before this position, he served as Chief Operating Officer with Volunteers of America Chesapeake. While there, Franklyn oversaw 32 programs employing 750 staff in the Chesapeake region. Before Volunteers of America Chesapeake, Baker worked as Executive Administrator of Public Sector Partnerships at Children’s National Health System in Washington, D.C. In prior roles, he worked with Magellan Behavioral Health and Blue Cross Blue Shield Association. Franklyn earned a bachelor’s degree in business administration from Howard University and a master’s degree of nonprofit administration in the Mendoza College of Business at the University of Notre Dame. Baker has served on and chaired multiple boards including Baltimore’s Promise, Parks & People Foundation, Unity Healthcare and others. He has completed a 2-year Executive Development Program, is a 2013 class member of Leadership Greater Washington and is now part of the 2018 Greater Baltimore Committee LEADERship program. Franklyn lives in Annapolis, MD with his wife Michell and 15-year old daughter Gabriell. When I was 20, I came to an alarming realization that something was wrong. A week before Thanksgiving, I ended an abusive long-term relationship, and it seemed my entire world fell apart overnight. As a senior at Towson University living in an off-campus apartment, the winter that followed was debilitating. Some mornings, I could not get out of bed. I barely made it to class or work. I cried as I got dressed, cried as I got in my car and drove. At my internship, I tried desperately not to cry at my desk, but I would start shaking until tears eventually fell as I stared into my computer screen. When I got home from class, I started taking painkillers to feel less miserable. That got me through the evenings, relieved once I could get in bed and sleep once again. I hated mornings because I didn’t want to participate in life, I just wanted to sleep. I was scared of being alone because of the dark thoughts that consumed me. I deleted my social media and ignored my friends; I couldn’t stand to see people happy and successful when I felt like a miserable failure. I became a shell of the happy and motivated extrovert I was, and I didn’t recognize myself. I felt empty, alone, depleted, isolated, useless, and irrationally overwhelmed with the feeling that my life didn’t really matter. I attribute my recovery from major depressive disorder, which I was diagnosed with at 21, to three things: a good treatment plan, the support of my loved ones, and NAMI. I found NAMI Metro Baltimore through Towson University’s Counseling Center. In the spring I booked an emergency appointment with a mental health counselor, and not only did that begin my healing journey with therapy, but I met someone at the center who told me about NAMI Metro Baltimore. That day, for the first time in months, my spirits lifted. Maybe I wasn’t alone after all. I felt surrounded by people who truly understood, cared, and wanted to help. I have been a NAMI Connection Recovery Support Group facilitator for almost two years, and it has changed my life and the way I view mental illness. After I graduated with my Bachelor’s in Psychology, it became clear to me that I wanted to help people like me, struggling with a mental health condition. I wanted to be sure that nobody had to suffer through it alone or without help. With certainty, I can say to anyone with mental illness – whether it be depression, anxiety, bipolar disorder, schizophrenia, PTSD or anything else – you are not alone in the way you feel. There are so many others out there who can relate to you and genuinely understand you. For me, helping others work through mental illness helped me work through my own illness. I feel a strong connection with young adults in particular. Young adults, especially those of us with mental illness, experience the world differently. Growing up and finding your place in the adult world is not easy for anyone. School, finding jobs, figuring out what you want to do with your life, coming to terms with who you are, dealing with family issues, finding intimate relationships, living on your own – these are just a few of the struggles of young adulthood, and mental illness makes this journey feel overwhelming, if not impossible at times. But it is not impossible, and sometimes we need to be reminded of that. I think the more we can empathize and relate with one another, the more we can try to understand and support each other through the toughest of times. 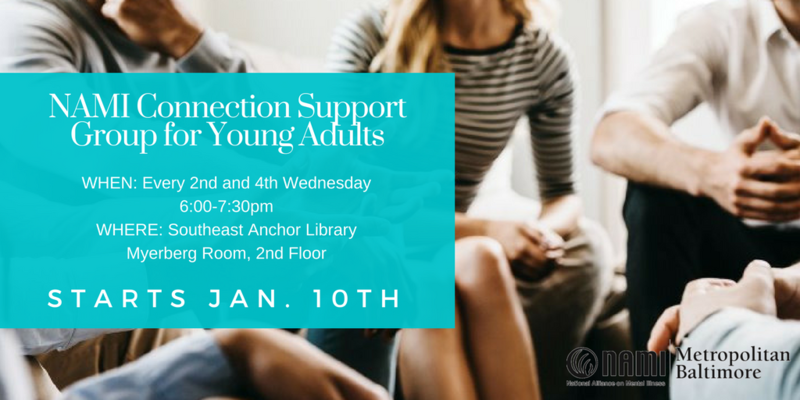 This January, NAMI Metro Baltimore will launch a new NAMI Connection Recovery Support Group for young adults. This peer-led support group will provide a space for young adults to connect, share challenges, to see that there is hope for recovery. Starting January 10th, the group will begin meeting bi-weekly at the Southeast Anchor Library in Highlandtown. This free program is open to any young adult age 18-39 who is living with a mental health condition. I am a young adult with mental illness. At times I need support, and I know other young adults like me need it too. Through NAMI, we can offer each other mutual support, comfort, and understanding as we battle mental illness. You are not alone, and you do not have to go through this alone. Together, we can cope, heal, and find the road to recovery. Mia Ellis is a Connection Support Group Facilitator and NAMI Metro Baltimore outreach volunteer. She has been volunteering with NAMI Metro Baltimore to help peers living with a mental health condition since 2016. This fall, NAMI Metropolitan Baltimore launched a new mental health education and wellness initiative in partnership with Christian Temple. Christian Temple, will serve as a “hub” for NAMI’s evidence-based Signature education and support programs in the Catonsville area. The new initiative formally launched on Sunday, October 23rd with a program introducing NAMI’s supportive resources. 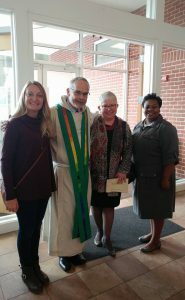 NAMI Metro Baltimore volunteers shared personal reflections on the impact of mental illness with members of Christian Temple and the greater Catonsville community. The programming schedule at the hub will be driven by community-identified needs and interests. Upcoming programs will include NAMI’s In Our Own Voice presentations, information sessions, and NAMI’s education programs for peers and families. NAMI Peer-to-Peer, a program for individuals living with a mental illness, and NAMI Basics, a course serving parents of a child or teen, are currently registering to begin this winter. In addition to education and support programs, Christian Temple will house a drop-in resource library. Community members can find mental illness fact sheets, health-related books, videos, and DVDs, and other community behavioral health resources at the library. Space is limited and advanced registration is required. To join an upcoming education program, contact NAMI Metropolitan Baltimore at (410) 435-2600. In a new memoir, Monica Coleman reflects on the legacies of slavery, poverty, war, and alcoholism, and how these conditions can mask a history of mental illness. 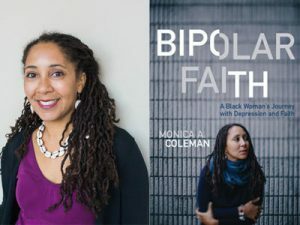 At once spiritual autobiography and memoir of madness, Bipolar Faith is the book Dr. Coleman was hoping to find when she was diagnosed with bipolar II, which is characterized by periods of deep depressions balanced by periods of productivity and energy. Moreover, she found precious few memoirs that engage religion and faith in truly constructive ways. While the taboo around depression in the African-American faith community is diminishing, “I think there are people suffering from depression and bipolar disease who are also striving to maintain their faith. There are few guides or safe places where they can discuss their feelings,” says Coleman. This book is for them and for their allies. Monica A. Coleman, MDiv, Ph.D., teaches theology and African-American religions at Claremont School of Theology (CST), in Claremont, CA. At CST, she was recently promoted to the position of full professor — making her the first African-American woman full professor at CST. Dr. Coleman is an ordained elder in the African Methodist Episcopal Church and a sought-after speaker and preacher. Presented in partnership with the Enoch Pratt Free Library. ARLINGTON, Va., July 7, 2016 — Today, the National Alliance on Mental Illness (NAMI) launched Stigmafree Company, a new initiative that will challenge, highlight and cultivate a company culture of caring and enhanced engagement around mental health. An initial group of seven companies have joined as partners including Coty, EY, FOX Sports, Kenneth Cole Productions, Participant Media, Philosophy, and Wear Your Label. Mental health conditions that go untreated can have a huge impact on companies, from decreased employee productivity to lower morale. Eight in ten workers say shame and stigma prevent them from seeking treatment for a mental health condition. In addition, mental illness costs the economy about $200 billion in lost earnings each year. Companies committed to the Stigmafree company partnership are helping reverse these negative effects by creating a caring culture that recognizes mental illness and can better respond. 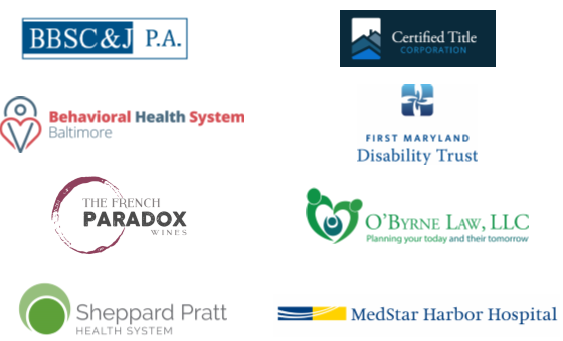 To learn more about how these company partners are promoting Stigmafree, visit nami.org. L ast week, NAMI Metropolitan Baltimore welcomed a delegation of social service providers from the Eastern European country of Belarus. The meeting was arranged through a month-long professional exchange program of The World Trade Center Institute. Members of the delegation provide a range of community health and peer support services in Belarus. They are meeting with non-profits throughout the Maryland and DC region to learn best practices. NAMI Metro Baltimore staff offered an overview of NAMI’s grassroots model of peer-led education, support, and advocacy programs. Volunteer Coordinator, Julianne Mills, shared the ways in which our more than 220 active volunteers work throughout the community to offer resources, life-saving information, and hope for recovery. Staff exchanged practices and ideas with our guests to help them implement or strengthen volunteer recruitment and training programs in their own non-profit organizations. Throughout the conversation, both groups recognized a common, yet profound challenge: the impact of stigma. With the aid of interpreters, the group realized that “stigma” is the same word in both the English and Russian language. They spoke at length about the stigma that exists in both cultures and the impact it has on accessing needed support and treatment. 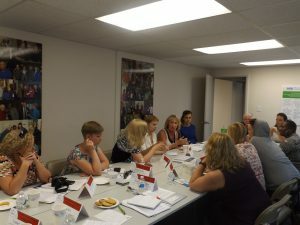 The Belarusian delegation shared similar barriers stemming from stigma, including funding and resources, government regulations, and the need for increased public awareness. At the conclusion of the meeting, gifts, contact information, and hugs were shared. But most importantly, there was the mutual recognition that we are indeed a global community, and it is only through supporting one another that we can change our communities for the better. Harriet Washington discusses infectious causes of mental health conditions. Could viruses and infectious diseases cause mental health disorders? Scientific author and researcher, Harriet A. Washington, argues there is a compelling link. Her latest book, Infectious Madness: The Surprising Science of How We “Catch” a Mental Illness, offers a groundbreaking look at germ theory and mental illness. On Tuesday, April 26th, NAMI Metro Baltimore and the Enoch Pratt Free Library welcomed Washington to Baltimore to discuss this cutting-edge research. In the Writers LIVE Lecture, Washington presented case studies of mental health conditions, including schizophrenia, obsessive-compulsive disorder, and anorexia, that were likely caused by bacteria, parasites, or viruses. Cases included links between bacteria in cat litter, paresis, and influenza and psychiatric symptoms. She further demonstrated that attributions of mental illness to genetics can also be explained by infectious causes. Washington highlights that in identical twins there is only a 40% chance that both individuals will develop schizophrenia. Harriet Washington addressed more than 50 Baltimore community members. 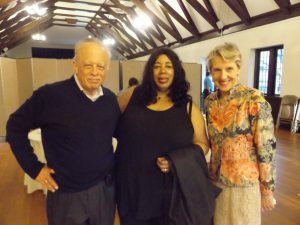 Among the audience were researchers Dr. Robert Yolken of Johns Hopkins University and Dr. E. Fuller Torrey of the Stanley Medical Research Institute, whose work informed Washington’s book. Washington concludes that this paradigm shift is critical to developing new approaches to not only treatment but also prevention. You can read more about her work here. NAMI and Empathy Club leaders introduce the short film Opening Minds. High school can be a challenging time for any student. But, for many adolescents, it is also commonly the time of onset for a mental illness. 1 in 5 youth ages 13-18 live with a mental health condition, and yet more than half are not receiving help. Students at the Friends School of Baltimore started the NAMI and Empathy Club to ensure their peers get mental and emotional support when they need it. Raising awareness and reducing stigma is key to increasing the likelihood that teens seek out mental health care. Club leader, Cloris Feng, hopes to challenge the misconceptions surrounding mental health and says the new student organization aims to “be the first to reach out, so students know help and support is there.” The club worked with school counselor, Kristy Norbert, and then reached out to NAMI Metropolitan Baltimore to find ways to get students and teachers talking about the issue. 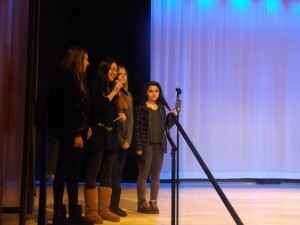 Last month, the club hosted a school-wide assembly to start the mental health conversation. Students viewed Opening Minds: Ending Stigma, A Young Person’s Perspective, a short film that explores the signs of mental illness and how to seek support through personal stories. Warning signs of a mental health condition can include significant changes in behavior or mood for more than 2 weeks, trouble sleeping, or worries or fears about daily activities. The film shows that mental health conditions are more than just the blues, and affect one’s thinking, feelings or mood, and ability to function. Following the assembly, students met in their advisory groups with a teacher or counselor for small group discussions about the film. Kristy, who led an advisory group of 8 students, found that many of the teens were surprised to learn the statistics. Advisory groups were then engaged to find ways to make changes at school. Groups had many ideas, including enhancing the “freshman-senior buddy” peer mentor program and creating spaces for students to openly discuss their feelings and experiences. The next week, students had the opportunity to continue the conversation over lunch. The group was able to hear stories of mental illness from two NAMI In Our Own Voice presenters who are individuals living in recovery. Students also had the opportunity to ask the presenters questions, providing a deeper understanding of what it is like to live with a mental illness. Discussing what a teen is experiencing and feeling with others is an important step to getting help. Cloris and fellow club members hope that students will be able to find a trusted person to talk with if they are experiencing mental health challenges. In the coming months, the NAMI and Empathy Club will continue to increase awareness and build safe and caring spaces at the Friends School. The club members are planning a project to post notes with kind and encouraging messages around the school. The club is also looking forward to forming a NAMIWalks team to increase awareness and challenge stigma not only at school, but also in their community. Learn more about children and adolescent mental health.